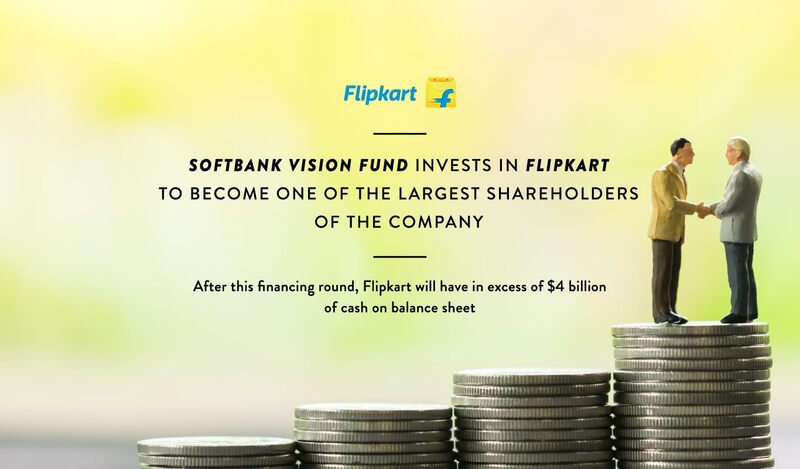 Flipkart Group, India’s leading e-commerce marketplace, has announced an investment — a mix of primary and secondary capital — from SoftBank Vision Fund, the world’s largest technology-focused investment fund. This is the biggest ever private investment in an Indian technology company, and will make the Vision Fund one of the largest shareholders in Flipkart. 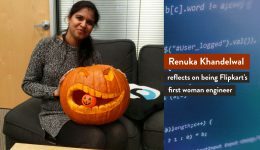 The investment is part of the previously announced financing round, where Flipkart had raised capital from three of the world’s premier technology companies — Tencent, eBay and Microsoft. After this financing round, Flipkart will have in excess of $4 billion of cash on its balance sheet. “This is a monumental deal for Flipkart and India. Very few economies globally attract such overwhelming interest from top-tier investors. It is recognition of India’s unparalleled potential to become a leader in technology and e-commerce on a massive scale. SoftBank’s proven track record of partnering with transformative technology leaders has earned it the reputation of being a visionary investor. 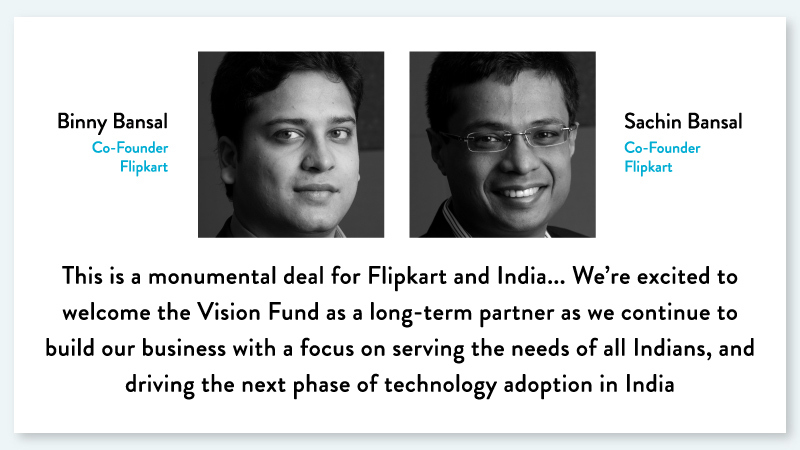 We’re excited to welcome the Vision Fund as a long-term partner as we continue to build our business with a focus on serving the needs of all Indians, and driving the next phase of technology adoption in India,” said Binny Bansal and Sachin Bansal, Co-Founders of Flipkart. The funding round further solidifies Flipkart’s balance sheet and will help accelerate investment in driving continued market leadership. The Flipkart Group is India’s largest e-commerce marketplace and includes group companies Flipkart, Myntra, Jabong, PhonePe and eBay.in. 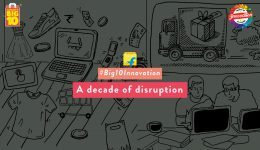 Launched in October 2007, Flipkart offers over 80 million products across 80+ categories and is known for pioneering services such as Cash on Delivery, No Cost EMI and easy returns – customer-centric innovations that made online shopping more accessible and affordable for millions of customers. “India is a land of vast opportunity. We want to support innovative companies that are clear winners in India because they are best positioned to leverage technology and help people lead better lives. 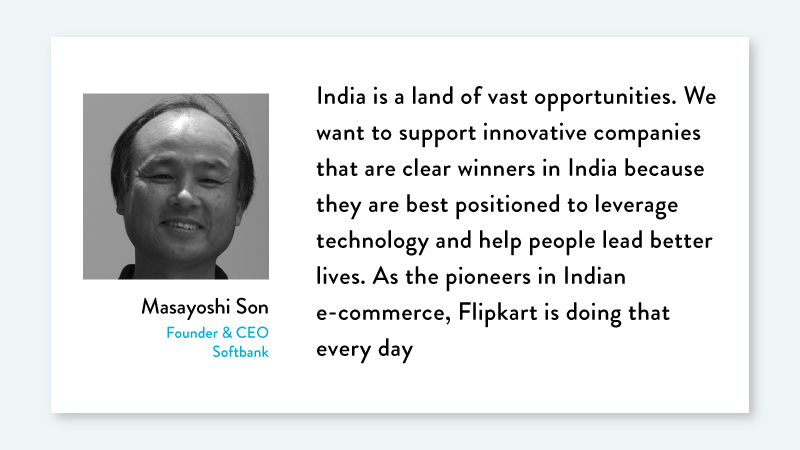 As the pioneers in Indian e-commerce, Flipkart is doing that every day,” said Masayoshi Son, Founder and Chairman & CEO of SoftBank Group Corp., who previously publicly announced his long-term commitment to investing in India. “The Vision Fund is proud to be part of this landmark transaction which is a strong endorsement of India and its thriving economy. We look forward to being a part of Flipkart’s journey towards becoming one of the most successful e-commerce companies in the world,” said Rajeev Misra, CEO of the Vision Fund. SoftBank Vision Fund will invest globally in the businesses and technologies that will enable the next stage of the Information Revolution, and make tomorrow’s world leading businesses possible. The Fund will enable long-term, large-scale investments to fund growth in the technology sector, investing up to $100 billion over the next five years. The Fund will invest through minority stake, majority stake and public equity investments of $100 million or more. It will aim for a minimum investment horizon of ten years, providing businesses with a committed partner for long term growth.